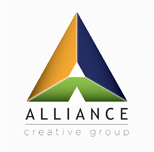 Launched in 2000 as an online marketing company, Alliance Creative Group (ACGX) today operates four key business units pooled together as a strong and profitable source for customized plans and projects for clients spanning multiple industries. The company's key services include creative and design, printing and packaging, direct mailing, product development, supply chain management, project management, event marketing, business consulting and strategic marketing. Alliance Creative maintains and operates three company websites: alliancecreativegroup.com, Print4aCause.com, and CorporateGifts4aCause.com. Always on the prowl for advancement, the company is also currently in discussions with multiple parties regarding potential mergers or acquisitions, and exploring other equipment and software upgrade options. Additionally, Alliance Creative is seeking a funding partner to help create and accelerate its bigger roll-up business model. The company’s overarching long-term vision is to create a one-stop-shop printing and packaging company powered by synchronized business divisions with a shared vision to increase overall revenues and profits. This business model leverages vertical integration and cross-promotion between various company sectors and allows Alliance Creative to share resources and maximize efficiencies. These components also improve buying power for the corporation and increase value for both clients and shareholders. Alliance Creative’s management team boasts decades of production and creative experience that guide company along its trek to generate sales revenue and profits and create a high quality customer experience. Under current management, Alliance Creative in the last three years has recorded more than $30 million in total revenue; $2 million in net income; and has $6 million in total assets in the books.